Seems as if MakerBot is trying to patent techniques that have been present in open source products for years. Thank you for contacting the USPTO Contact Center. 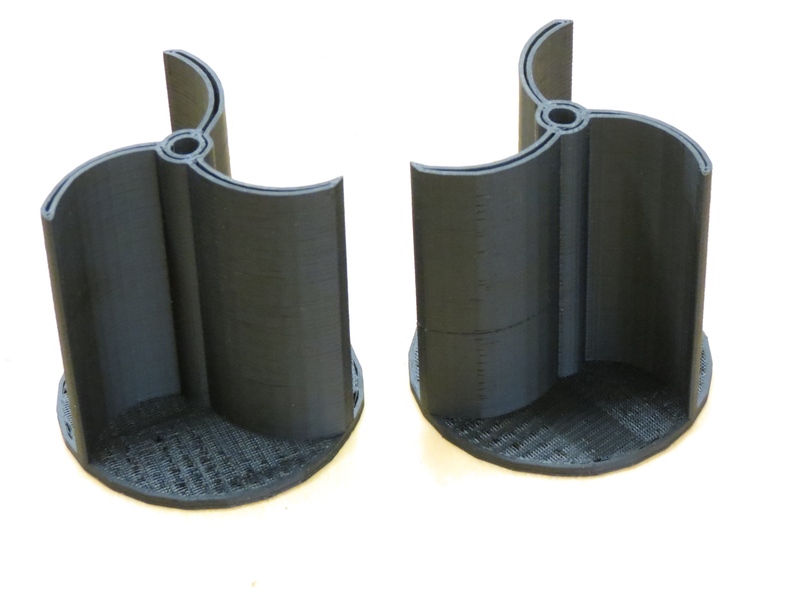 I purchased the Aluminatus to get a larger build volume than the Solidoodles (12″ x 12″ x 12″ vs 6″ x 6″ x 6″); I was also hoping for higher print quality and higher print speeds. Given that I paid over 3 times the price for the Aluminatus as the Solidoodles, that made sense. 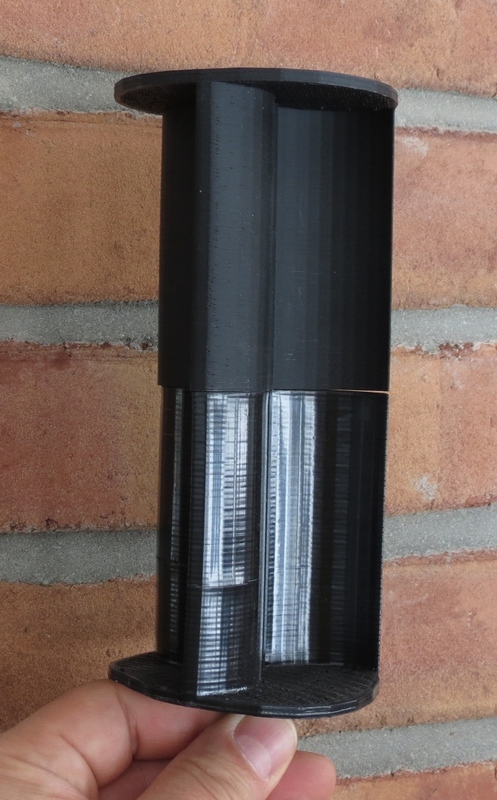 The Aluminatus is not entirely dialed in yet, but I have produced some good prints in PLA. 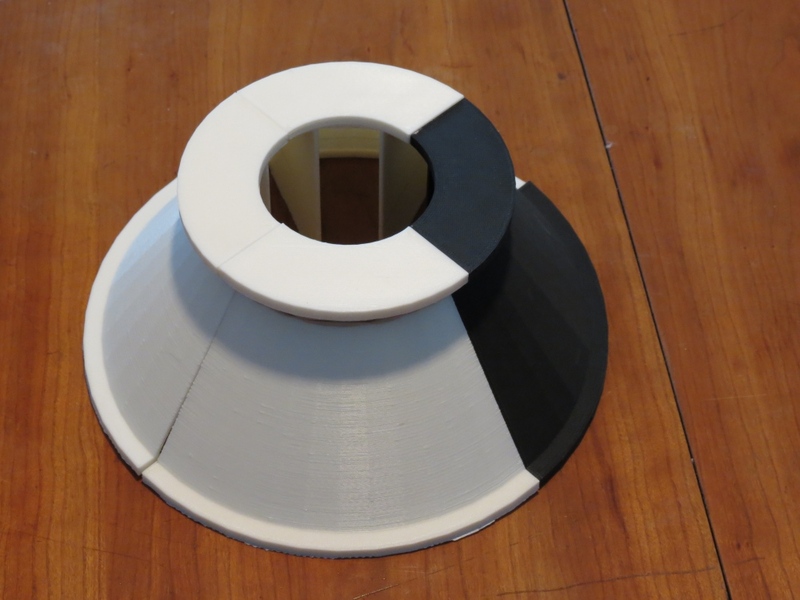 I can’t take responsibility for the 3D model of the Yin Yang Vase but I find the shape to be interesting and complex. 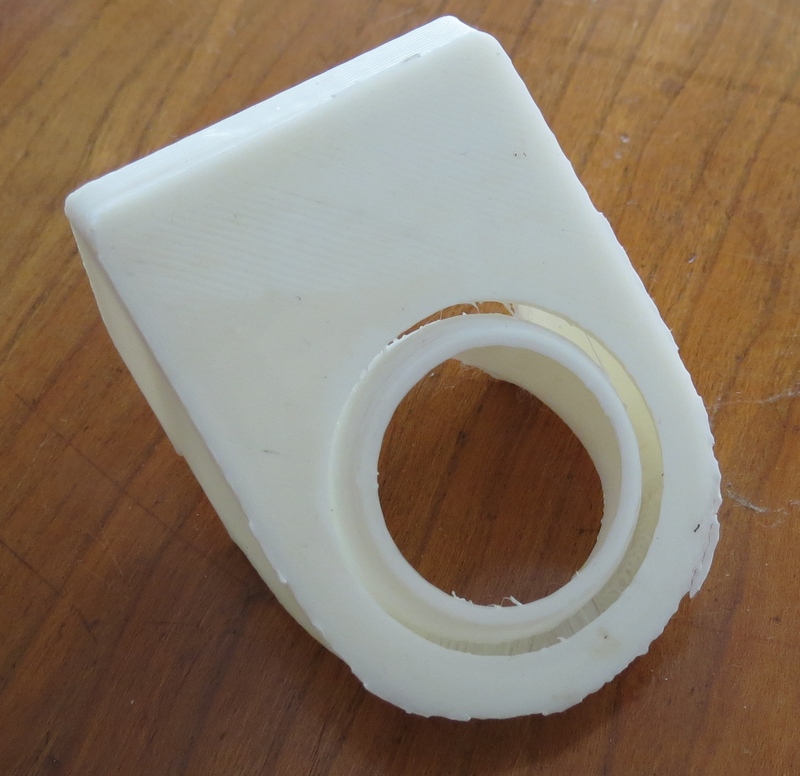 It is easy to download 3D designs and print those objects. 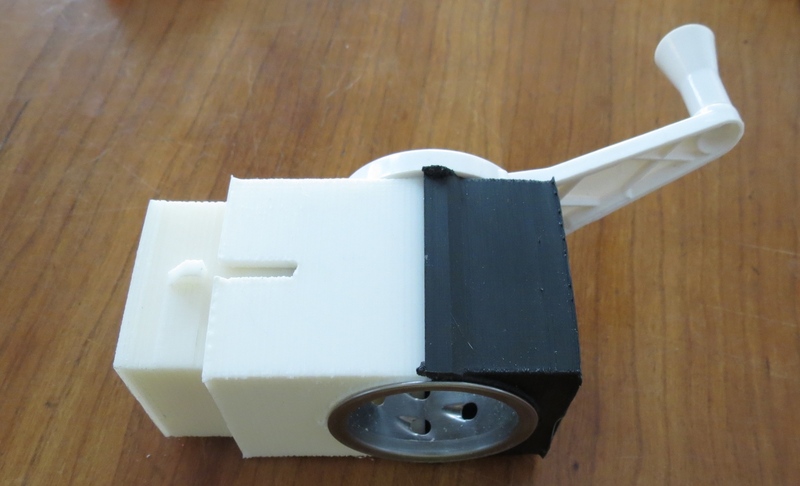 It is also easy to design and print small trivial objects (a lid for a cat food can). 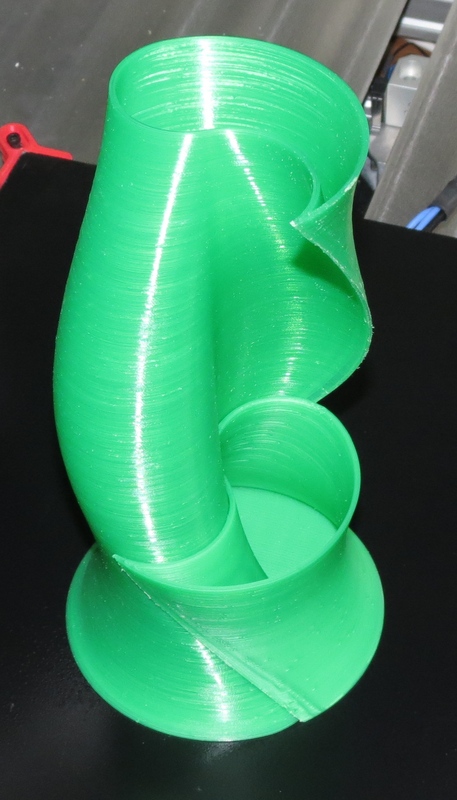 For my talk about 3D printing, I wanted to challenge myself to create an object that was new and complex. At one point, I imagined a four-sided white pyramid, which glowed from within with pulsing lights that changed colors and pulse patterns. 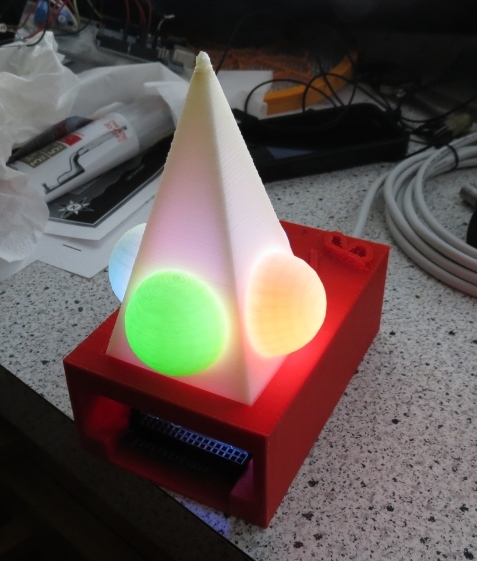 The lights would be provided by red/green/blue LEDs, which would be powered by and controlled by an Arduino computer board. 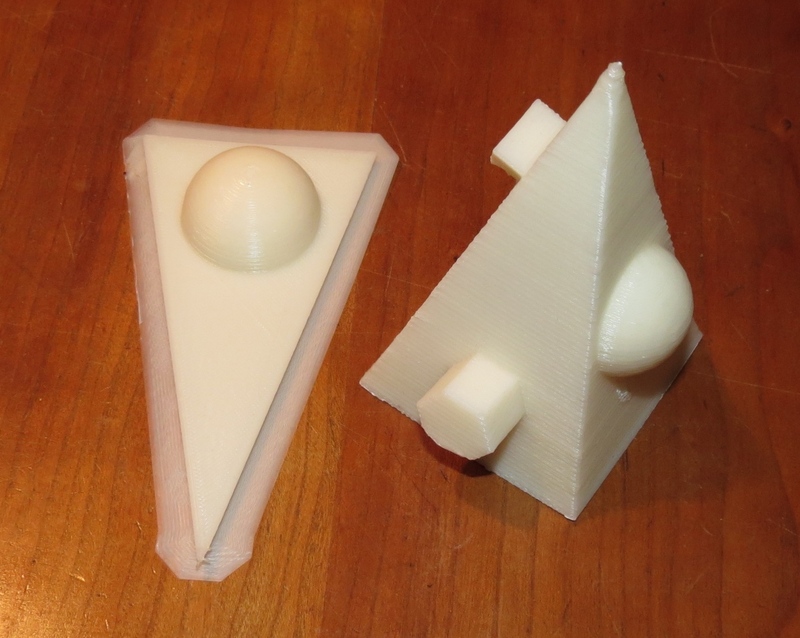 I first printed the pyramid on the right, with different geometrical shapes on each surface. 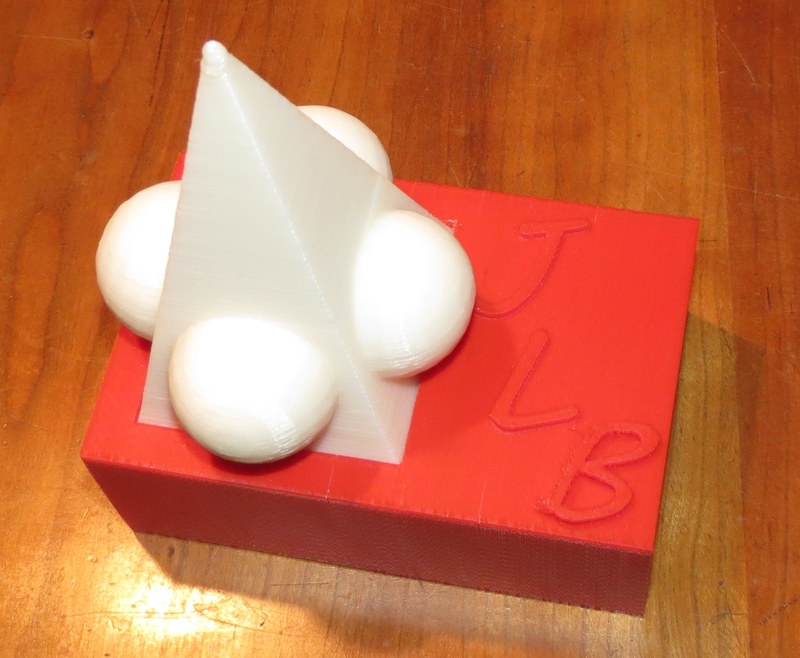 I then decided to stick with four hemispheres, and tried to fabricate the pyramid out of four triangles that I printed separately. 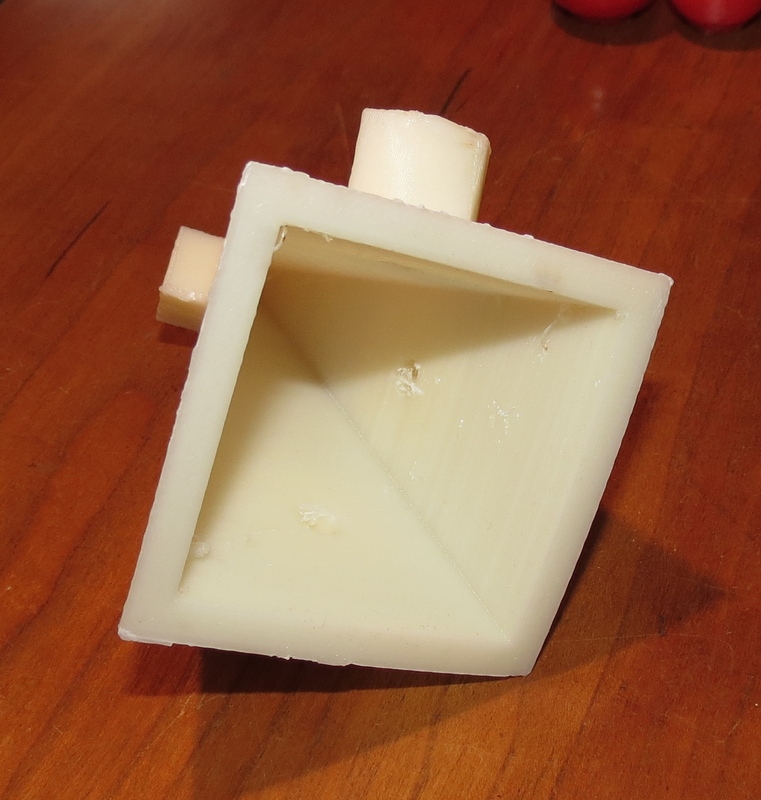 When the precision of the printed triangles was inadequate, I went back to printing the pyramid as a single part. The pyramid is hollow, as you can see, with small divots on the inside wall, in which I mounted the LEDs. 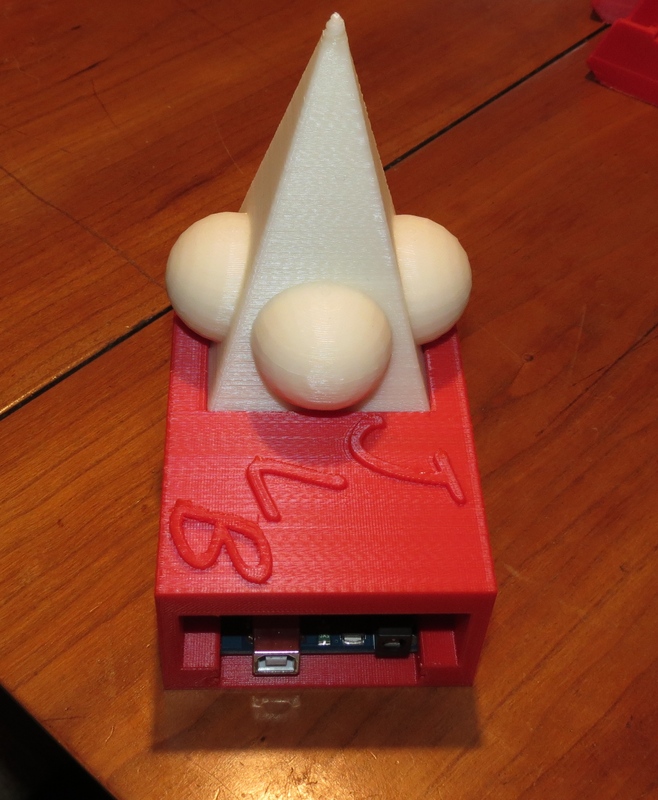 I printed a base, with a slot to hold the Arduino board, a recess on top to accept the pyramid, and a hole on the top to allow wires to enter the base of the pyramid. 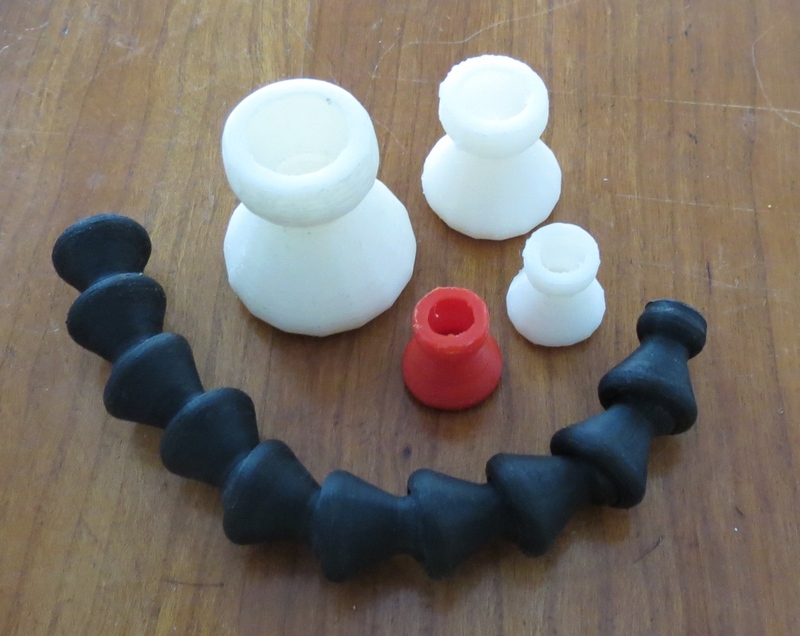 Lots of custom shapes! All in all, I am quite pleased with the project. People who have seen it have been captivated. Or else I have very polite friends. 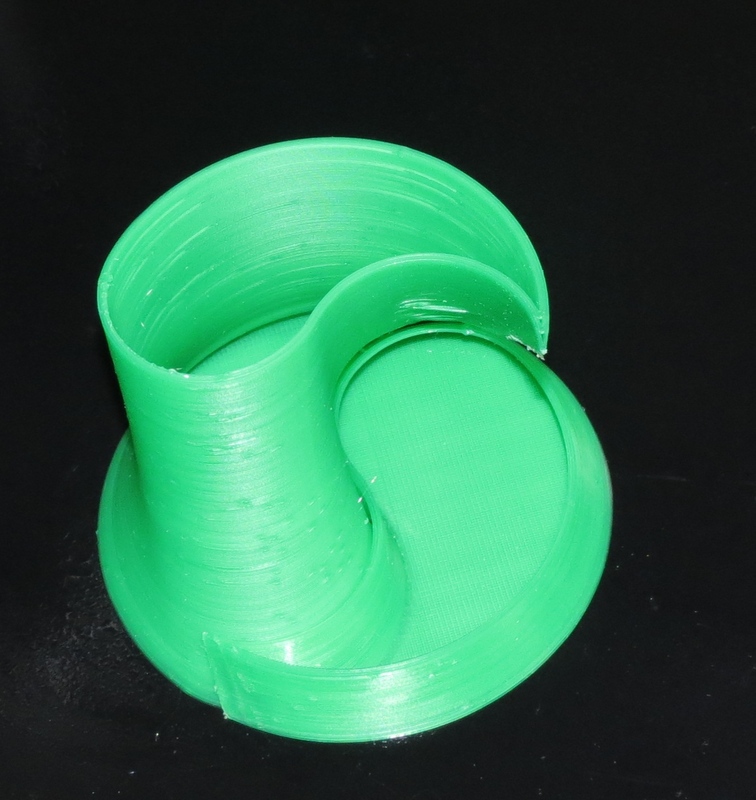 While the low end 3D printers (like the ones that I have) cannot print arbitrary shapes (they need a fairly broad base to stick to the printer bed during printing), they can print shapes that would challenge normal manufacturing techniques. One example may be found here. This is a ring gear with 5 internal gears all surrounding a single central gear. These gears are unusual in that the teeth are herringbone, so not only can’t this piece be disassembled, it could never have been assembled in the first place using traditional manufacturing techniques. Another example is this fan shroud. 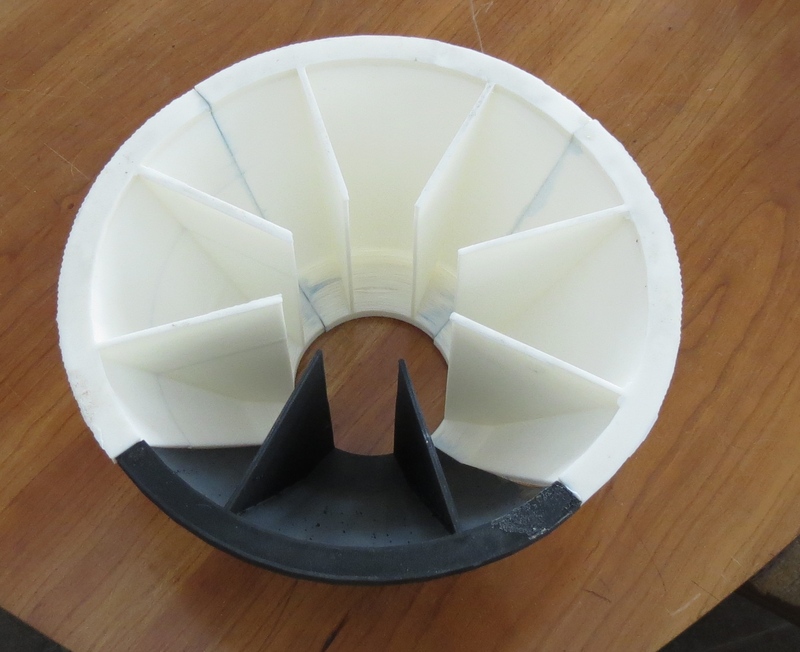 The fan is positioned to one side and blows air into a plenum. The base of the plenum has a circular hole through which the air exits. 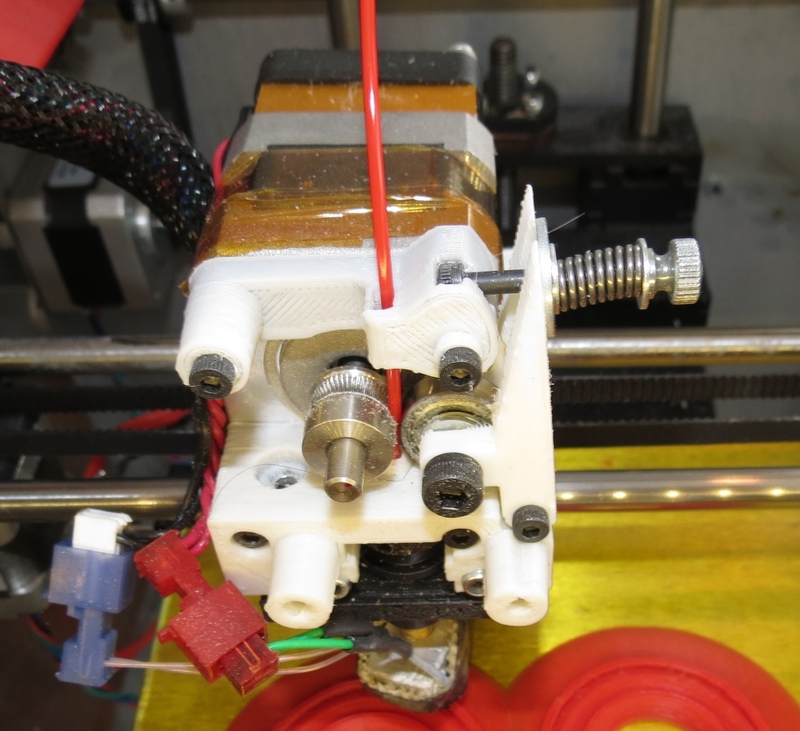 The point of this design is to blow fan around the printer extruder hot end, but not on the hot end. 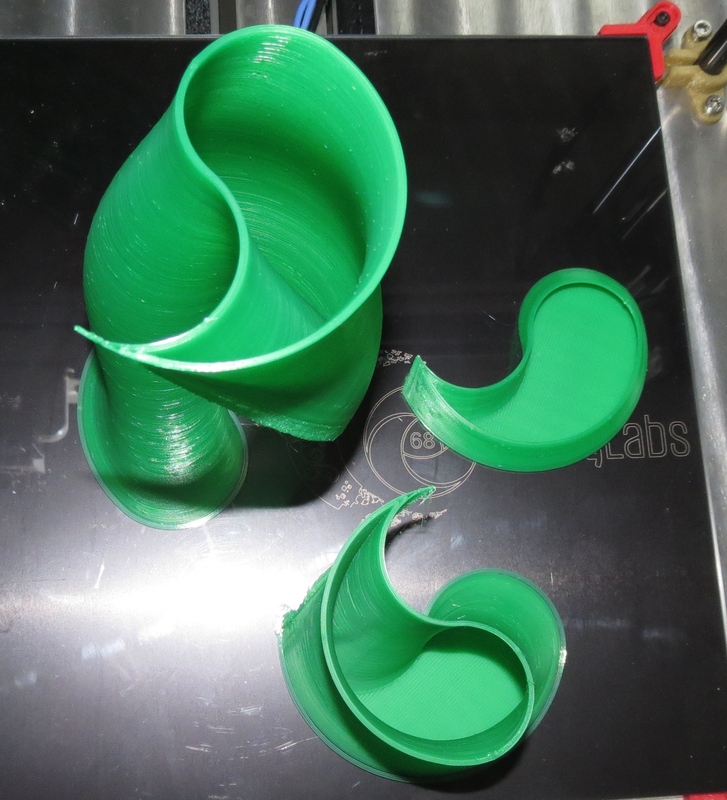 The shape is complex and could never be injection molded without breaking it into multiple pieces, and then assembling those pieces. 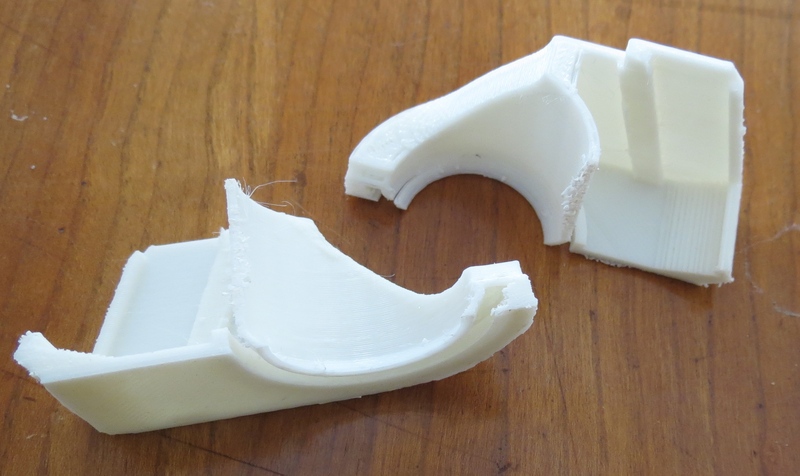 With a 3D printer, you just print the part: it does not need assembly. I ordered a Solidoodle 3D printer this summer, and received it in November. I managed to acquire another one along the way (long story: see my blog posting about how UPS handles packages). The last few months have been exciting, challenging, and often frustrating. 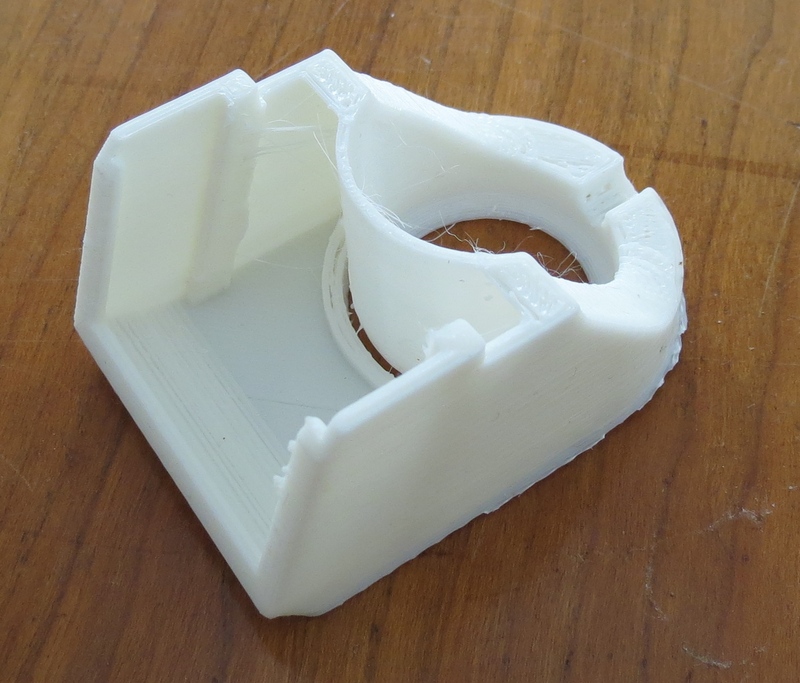 3D printing has been an up and coming technology for over 20 years (see this for example). The news about the Solidoodle was that you could actually get a working printer for around $500. That was the key issue that had me jumping in to test the waters. 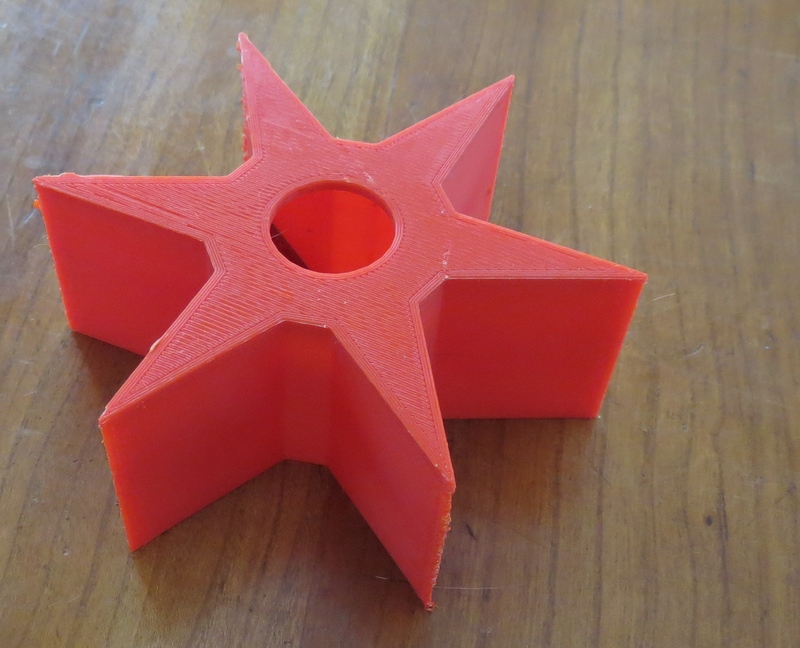 Online repositories of 3D objects are proliferating (Google Thingiverse or GrabCad). 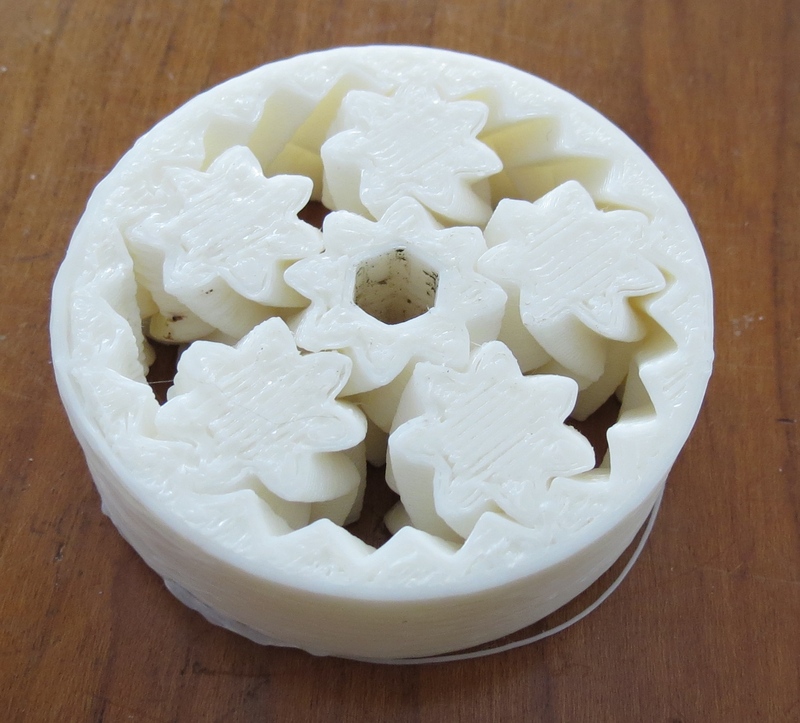 You can find an amazing variety of free models that you can print with ease, from caps for your cat food cans to a 6-speed automatic transmission (with reverse!). Forget about printing these things: just wander around and be amazed. 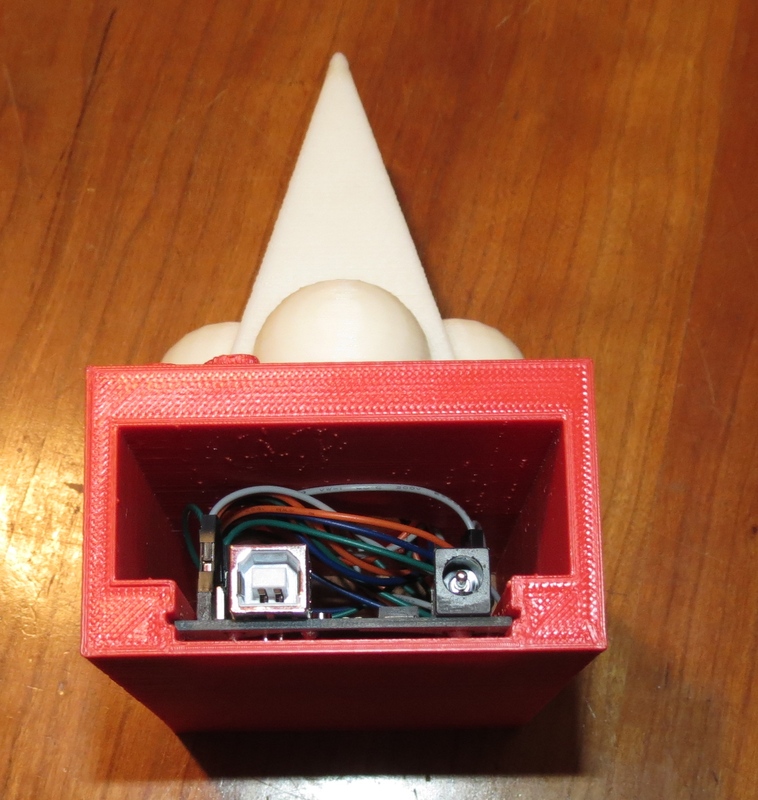 If you want to create your own 3D objects, you will need to learn how to create 3D models. I use Sketchup, because it is free, has a huge and helpful online community, and it is more than adequate for my needs. 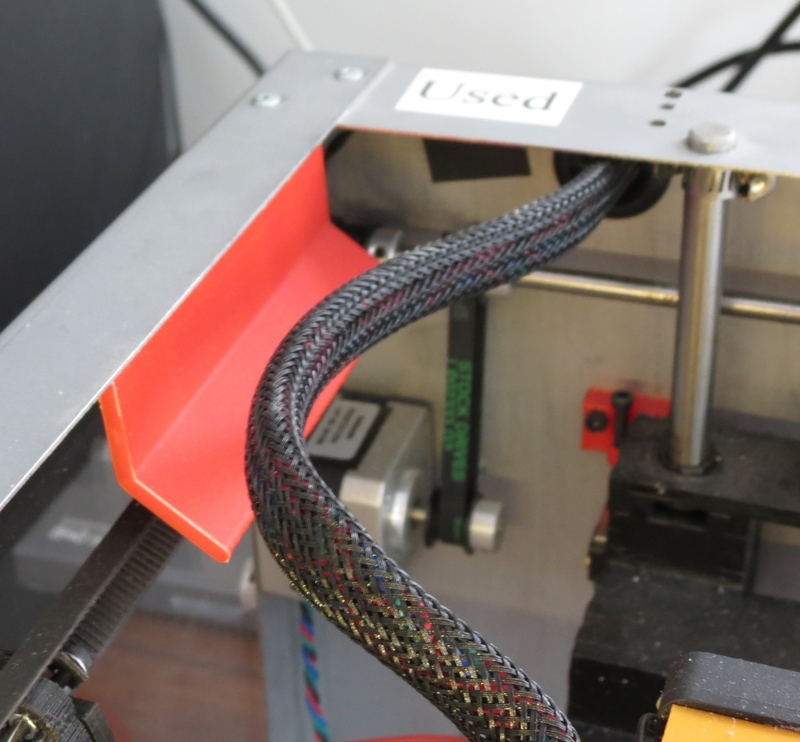 3D printing shops have existed for years, but rumor has it that Staples will start offering this service at their stores in the next year. 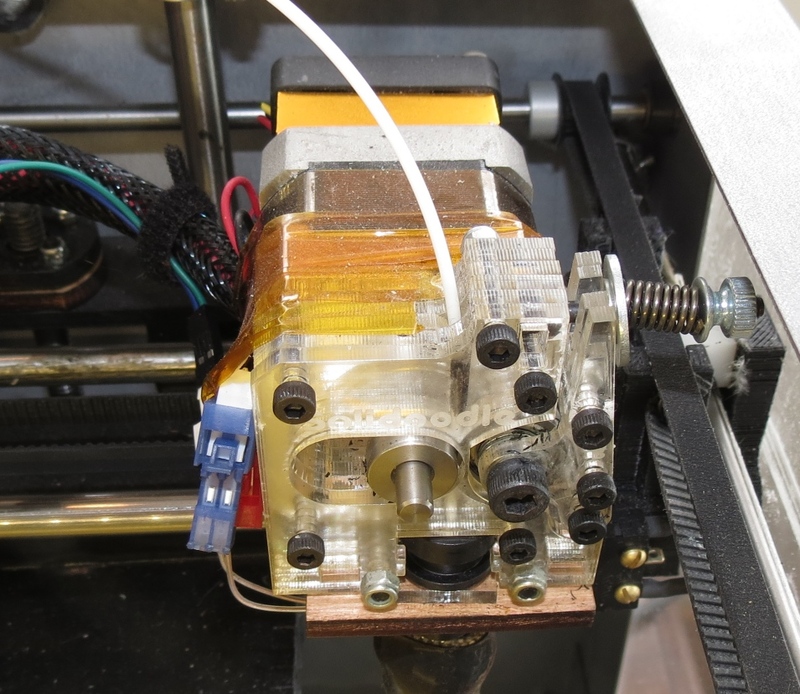 So, you can join the 3D printing revolution without buying a printer if you wish. I’ve started a Meetup about 3D printing which will start meeting regularly soon. 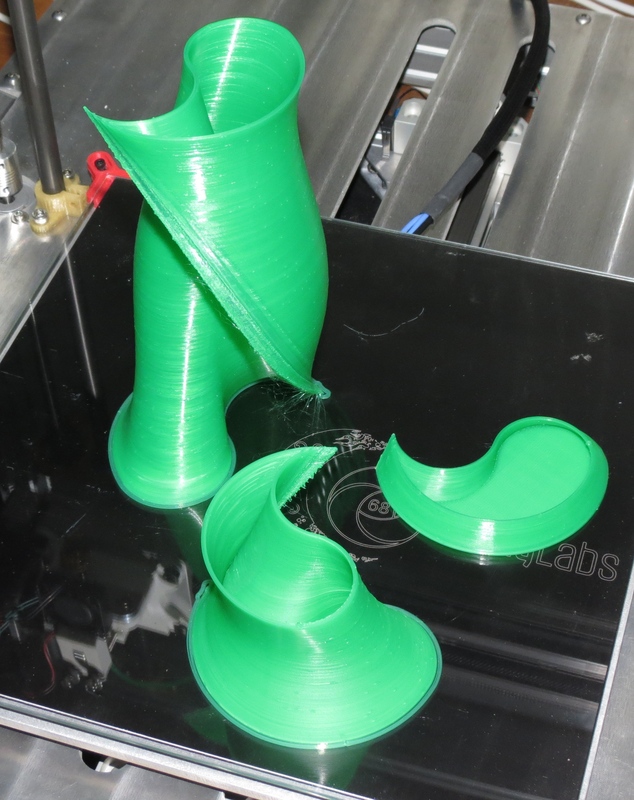 And I will be giving a talk about 3D printing on Monday, March 25th at Champlain College. 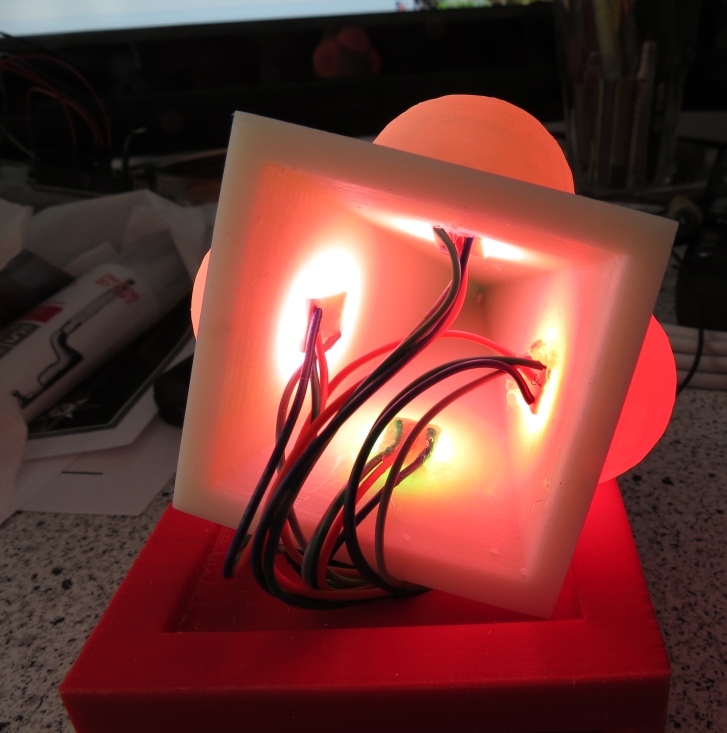 Also teaching a course on 3D design at a local company in April.